If you love classic Rock or classic R&B, if you love meaningful lyrics and soulful vocals, you'll love Roller Band's music. 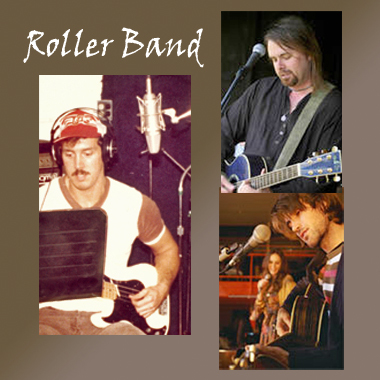 Carefully crafted lyrics and melodies that will move you and groove you-that's Roller Band. You have probably heard Roller Band as theme and background music on MTV and other television shows for years. Their exciting orchestral tracks are featured in films and on television and radio spots. Roller Band's jingles have been used by United Airlines, Apple Computers, and many more. They have a hot, defined signature sound and finely crafted vocal harmonies.